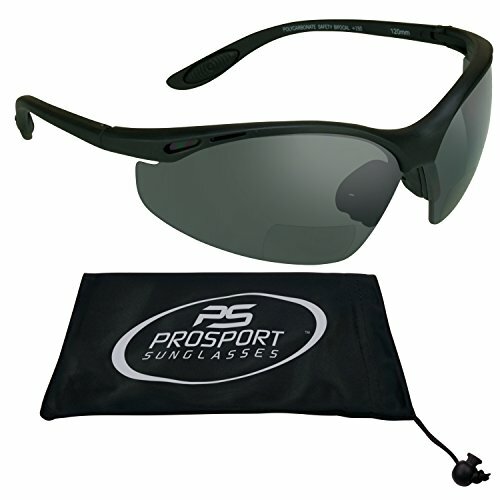 Bifocal Sunglasses 2.00 for Men and Women, Wrap around Half Frame with ANSI Z87.1 Safety Smoke Lens & Free Microfiber Cleaning Case. Wraparound biker bifocals +2.00 are also used as bifocal safety glasses. They are equipped with high quality safety rated ANSI Z87.1 impact resistant polycarbonate smoke lenses with anti-scratch resistant. Rubberized nose pieces and ear pieces provide wiggle free snug fit. They are also great for motorcycle riding, cycling, golfing, fishing and driving. If you have any questions about this product by Bikershades, contact us by completing and submitting the form below. If you are looking for a specif part number, please include it with your message.